September 11, 2017 (HOUSTON, TX) – Gary V. Lehmberg, a Houston based commercial real estate veteran, has joined Boxer Property as a Senior Regional Broker. Lehmberg will focus on developing broker relationships with a focus on Boxer’s Chicago , New Jersey , and Boston portfolios. Mr. Lehmberg has more than thirty years’ experience in developing, leasing and managing mixed-use commercial real estate projects. He has developed and leased in excess of 6,000,000 square feet of projects in multiple geographic regions including Texas, the Midwest and the West Coast. Projects include office, industrial, flex, retail, medical and structured parking facilities. 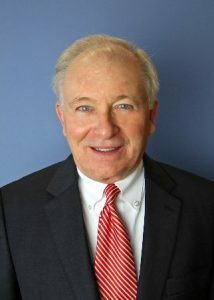 His experience includes all phases of development and leasing including project conceptualization, market demand and supply analysis, feasibility analysis, land acquisition, equity and debt financing, venture structuring, construction management of shell and tenant finish, tenant procurement, deal structuring, lease negotiation and asset management. Prior to joining Boxer, Lehmberg served as Chief Marketing Officer and Senior Vice President of Mischer Healthcare and was a partner with Hines, Trammell Crow Company and Treptow Development Company. Mr. Lehmberg is a licensed Texas real estate broker and holds a Bachelor of Science in Mechanical Engineering with Honors and a Master of Business Administration, both from the University of Texas at Austin.